Peter Winzer, a leader in optical transmission systems and networks research at Nokia Bell Labs in Holmdel, NJ, anticipates enormous value for photonic integrated circuits (PICs) over the coming decade as "˜engines' for parallel solutions. Interview by James Tyrrell. Q1 - Can you tell us more about your current area of work and what led you to take a deeper look at PICs? 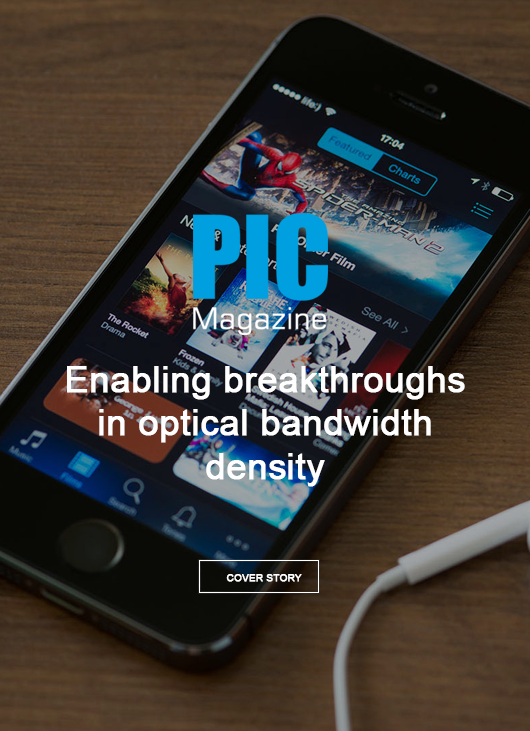 The overarching goal for me and my team is to stretch the envelope in high-speed and high-capacity optical fibre communications; charting out possibilities for future commercial optical networking hardware. In this vein, we have been continuously holding the world record in single-carrier interface rates over the past 12 years, from 100-Gbit/s on/off keying in 2005 all the way to 1-Tbit/s coherent quadrature phase shift keying in 2015. In terms of capacity (or rather spectral efficiency, which is the key to capacity from a transponder perspective), we have been pushing systems to record rate-reach trade-offs, using flexibly adapting probabilistically shaped modulation constellations, which we recently field-trialed on an installed trans-Atlantic cable operated by Facebook to show unprecedented scalability of the deployed submarine infrastructure. While pushing the limits on the experimental side, we also explored limits from a theoretical angle and realized that fundamental Shannon limits will be soon halting our ability to scale systems in a conventional manner. We have therefore advocated for spatial parallelism as the only way to solve the increasingly critical network scalability problem. As with all parallel solutions (think "multi-core microprocessors"), integration is key to arrive at cost-effective products. 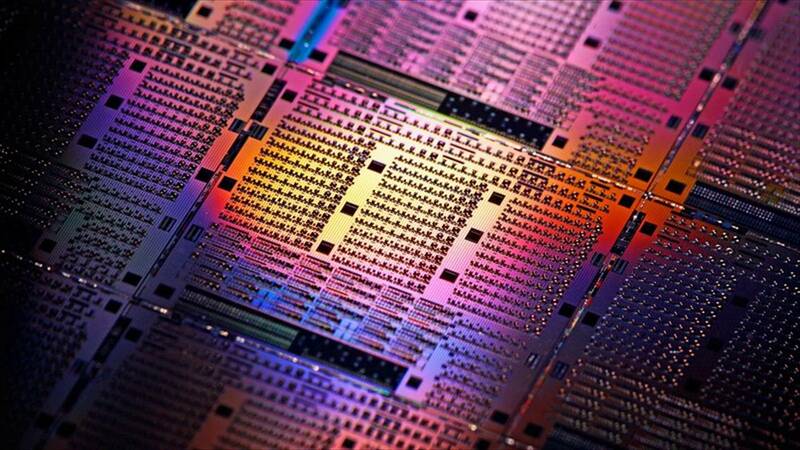 Hence, massive arrays of opto-electronic components will play a dominant role over the coming decade, and PICs are the only way to effectively address this problem. You can read more about these needs here. Q2 - Considering PICs as one piece of the puzzle, how do you see networks evolving over the coming decade to keep pace with increases in network traffic? For many years, network traffic has been scaling at about 60% per year (doubling every 18 months), and there is no reason to believe that this trend is going to change. On the other hand, interface rates have been showing a long-term scaling trend of around 20% per year, and so have fibre capacities over the past decade, (quite unlike the 100% annual capacity scaling they showed in the 1990s) again with no reason to believe that these trends are going to change for the better (they may in fact change for the worse owing to both engineering and fundamental scalability limitations). These glaring scaling disparities mean that without massively parallel solutions it will be "game over" in terms of supporting the kind of massive network traffic growth that our society has gotten so accustomed to. In that arena of massive scaling disparities, PICs will play an ever-increasing role as the engine that enables massive parallelism on both client and line interfaces. Just think of client optics: in order to satisfy the long-term scaling trend of router blades at 40% per year, with the most advanced router blades today offering a commercial 2.4 Tbit/s per blade), we expect router blades supporting several 10 Tbit/s by ca. 2025, which translates into several client interfaces of 10 Tbit/s each! This may sound like science fiction today, but in less than 10 years it is likely to be commercial reality. And no matter how you slice the pie, you won't be able to commercially implement 10 Tbit/s on a single carrier by then, so massively integrated parallelism in the form of 10 x 1 Tbit/s or 25 x 400 Gbit/s will be the only way -the way of the PIC! Q3 - What developments would be highest on your wish-list to avoid a crunch in optical capacity? As a first important step, I would like to see massively parallel transmitter and receiver PICs that enable 10-Tbit/s client and line interfaces in research. Once this is demonstrated in research, many practical aspects will still have to be resolved in order to implement corresponding products, including thermal management, opto-electronic packaging, fibre attachment, and optics-electronics co-integration, to name just a few of the challenges. If our industry wants to continue the decade-long sustained scaling that our information and communication society has learned to depend on, we need to support 10-Tbit/s class interfaces as commercial products by ca. 2025. Hence, our community in academia and industry alike better hurry up to get there in time!